Today I am going to share with you my simple system for how to write a novel. Writing a novel does not have to be difficult or overwhelming – and it can be a lot of fun and very rewarding! When I started writing my first novel at age 14, I had no idea how to actually sit down and write a novel. Even so, I spent most of my summer vacation that year typing away each day like a mad person does whenever they have a good story idea. Within a few weeks of daily writing, my novel was complete. 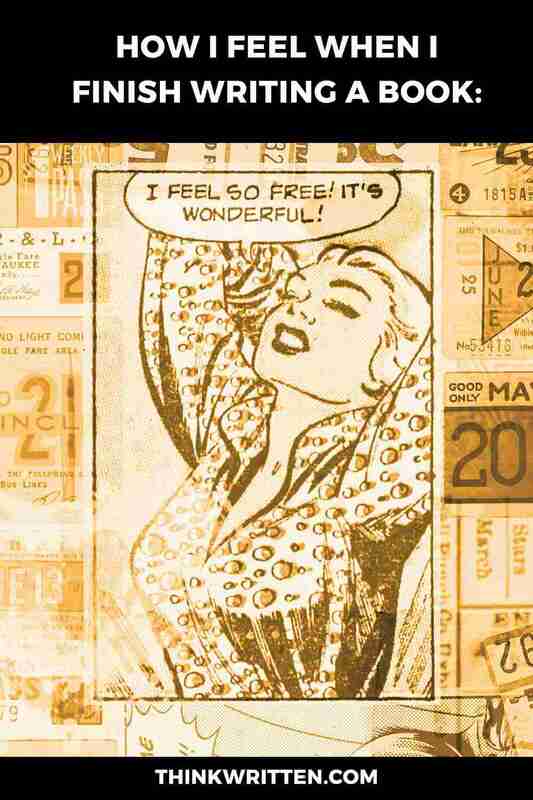 I still vividly remember that sweet feeling of accomplishment when it was finished. I was 14 and holding an entire manuscript in my hands! Trust me when I tell you there is nothing like that I-just-wrote-a-book feeling! Seriously, finishing the book you are writing will make you feel like you are free, full of joy, and so immensely happy and proud! Be careful though: You may even feel like you can fly and that maybe you have secretly possessed super powers all these years. You might feel powerful and wise. You might even think you are ready to rule the world. Other side effects include running to the nearest mountain top and yelling, “I JUST FINISHED MY NOVEL!!!!! !” at the top of your lungs. You may also find yourself writing with way too many exclamation points, which you as a writer know is not grammatically correct or necessary! Needless to say, it’s a pretty incredible feeling when you finish writing your novel. Even if you do not publish your first novel, you will still have that sense of accomplishment from writing a book – and you will be ready to write many more books after that first one! What I’m about to share with you on how to write a novel comes from 22 years of daily writing-like-a-madman practice. Over the years, I’ve developed a sort of system to how I write novels and other books. Today I am sharing my method with you so that you too can get over that hurdle of writing your first novel and just get it written. If that actually worked, I would just say “Just sit down and write” and you would write your novel and likely this whole article and entire blog would have no need to exist. Obviously, there is more to writing a novel than just sitting down and typing out random words as they enter your head. 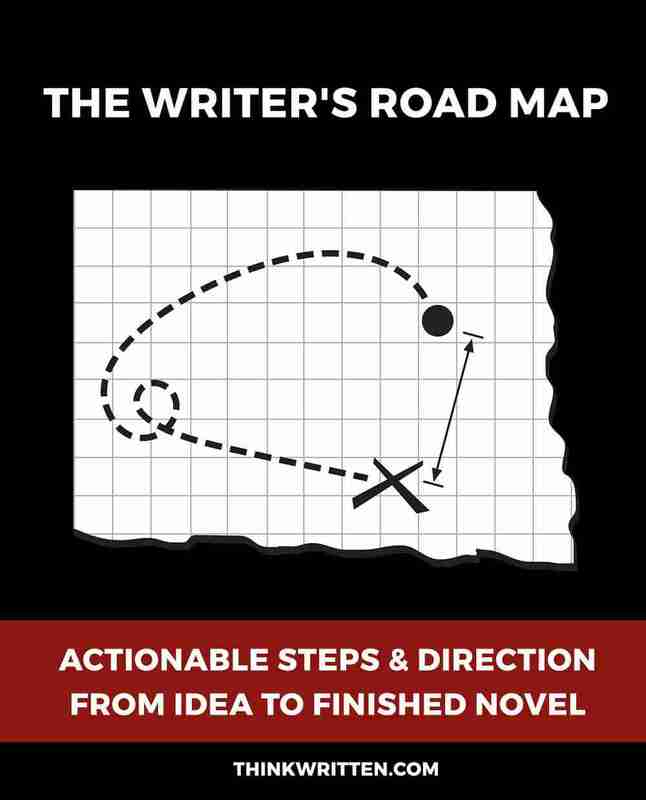 For me, when it comes to writing a book, I think it’s helpful to have a plan that functions like a road map. This way, if you get lost, you know how to identify where you are, find your destination, and follow the path to getting that book written! Using the map analogy, think of it as a treasure map with your finished and published book the final destination. Along the way, we’ll be making a few stops to ensure the process goes smoothly. Should you ever get off the path in your writing, you will be able to see where you left off and get back on track. This 4 part guide goes through everything you need to start writing your book – and also the important steps to ensure you actually sit down and write to finish your novel. By breaking it down into 4 parts, it is no longer as quite the preposterous task to write a novel as it may seem at first. Writing your novel doesn’t have to be hard or overwhelming and can be a lot easier than you might think! So, are you ready to write your novel? If you follow the process and steps I share in this article, I promise you really will be writing a novel! All you have to do is sit down at your computer or laptop and actually write it! Let’s get on to it, shall we? To help simplify the novel writing process, we’ve organized this article to break it down into 4 sections. Each of these sections shares specific actionable steps you can do in order to begin writing your novel – and actually make sure it gets finished! Part 1: Creative Brainstorming, Research & Planning – A VERY IMPORTANT STEP! Part 4: Publishing and Marketing – Sharing Your Novel with the World! 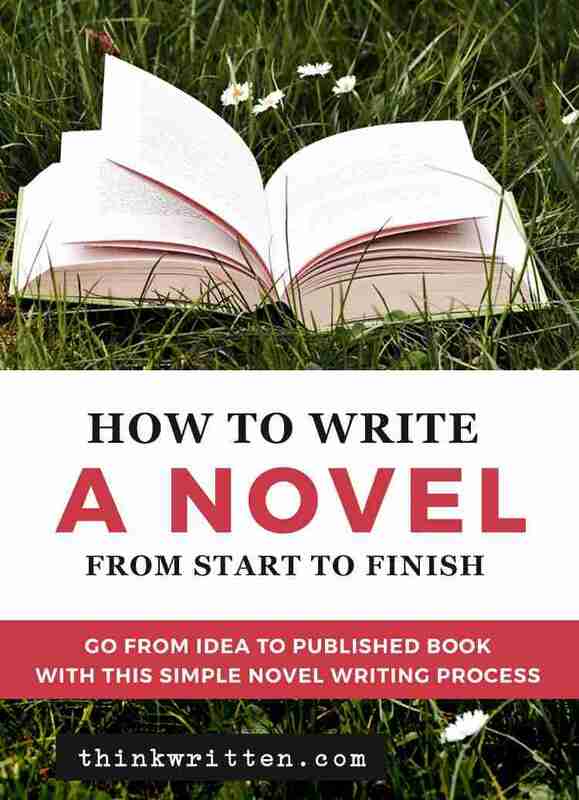 By breaking down the process into these 4 parts and the small steps to follow in each part of the process, the entire undertaking of writing a novel seems a lot less overwhelming. Using these steps can help you make writing your novel a much more fun and enjoyable experience, as it should be! Your novel all starts with an idea. For many writers, you may find you have a LOT of ideas. Finding a way to gather and organize all of your ideas is very important. While the amount of structure you need for organizing these ideas is often a matter of personal preference, having everything haphazardly jotted down in a notebook can sometimes make the novel writing process a lot more difficult than it needs to be! A little organization can go a long way to help you maintain focus while writing and stay motivated to see your novel from idea to completion. 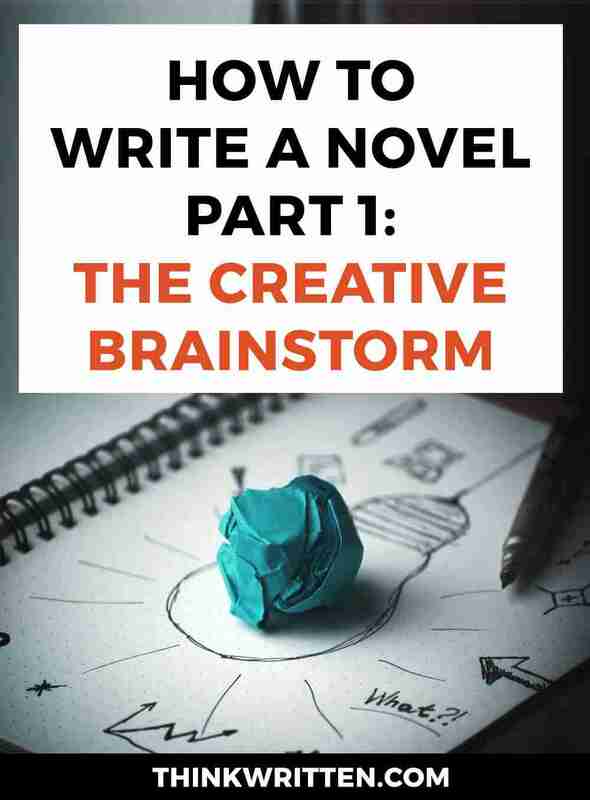 The creative brainstorm part of writing is my favorite part of any idea I have for a book I am writing, whether it is a non-fiction book or a fictional narrative novel. Where you as a writer find inspiration might be different from other writers of course, but I have always strongly believed INSPIRATION IS EVERYWHERE. Create a Mind Map: A mind map is a great way to come up with different ideas for your novel. See our article How to Create a Mind Map for Your Novel for some ideas and inspiration. Draw Sketches: In addition to writing, I also love doodling and drawing, so sometimes it can be fun for me to draw sketches of the characters or important scenes in the book. 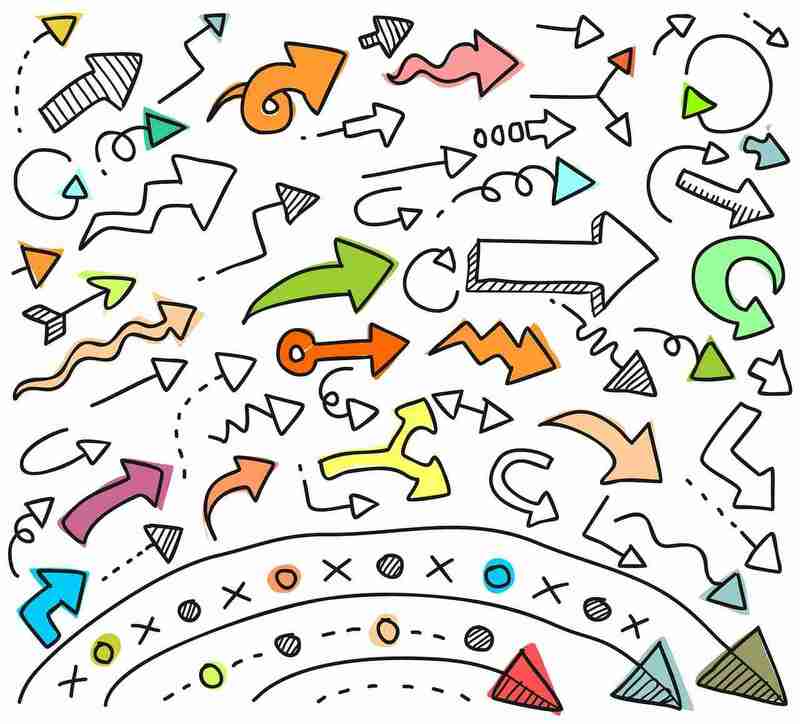 Don’t worry if you aren’t a fantastic artist – sometimes just getting the idea expressed visually with stick figures can be helpful for turning it into words later. Music Soundtrack: Sometimes when I write certain scenes and books, I like to have appropriate music playing in the background to bring the right mood and feeling to my writing. For example, if I were writing a sad tragic love story, I would probably head on over to a website like 8tracks.com and type in “sad love songs” as a keyword to search for. Pinterest Boards: As someone who is a visual learner, I find that the more visual imagery and inspiration I use, the more descriptive and vivid my writing will be. You can pin pictures of the types of clothes your characters wear or even photos of different places and scenes where your story takes place. Now that we have all of our inspiration, we’re ready to plan the actual writing of our novel. There is no wrong way to plan a novel, and the process you use to plan out the scenes and chapters for each part of your novel is often up to your own individual preferences. However, it is SO VERY IMPORTANT to have some type of planning before you start writing those first words. 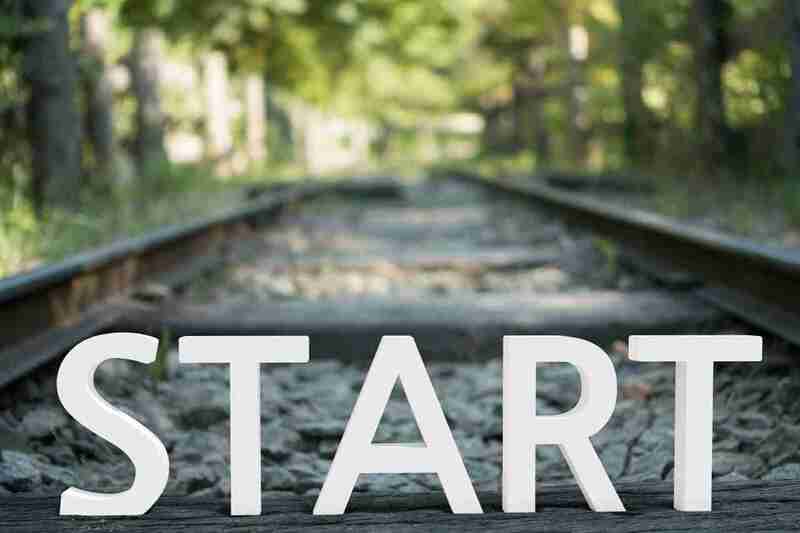 Without a plan, it is too easy to become derailed and get lost while writing. Instead of sticking to the scenes you already have figured out, you might instead find your mind – and your characters, wandering about aimlessly. Having a plan can help you stay focused, and meet your goals for writing your novel in a set specific period of time. When you know where you’re going, it is a LOT easier to get there! The Outline Method: I like to use an outline for my novels, as it gives me a specific series of events. If I already created a mind map for the novel, I will export the mindmap to outline format and then import into my writing software so I can create a proper outline. Your outline can be as detailed or as brief as you like, so don’t worry about whether or not it is long enough. The Index Card Method: I do not use the index card method myself much, but for some authors and writers, it is what they swear by! The Index Card Method is where you write down different scenes onto index cards. You can then sort and arrange them as necessary. If you are using a software program such as Scrivener, this allows you to do the process digitally, which can make it a little less messy! The Planning Calendar Binder Method: Some writers find it helpful to actually plan their novel just like they would plan out their week or even a special event like a wedding or other big celebration. While this method requires more work upfront, it can actually help you save a lot of time later down the road! Using this method, you would use a 3 ring binder and include a calendar with dates and writing goals, as well as detailed information for writing your novel, such as character profiles and fact sheets. Whatever method that works for you and you are comfortable with is the best one to choose. The main goal of planning is to know what you are writing about, so that when you go to sit down at the computer to start typing, you don’t get stuck or waste time backtracking. As I wrote in my article on how to reach your word count goals, it’s very important to have clear and complete thoughts when writing, as this helps the words flow easily when you actually sit down and write. Most of our time spent sitting down to write should be actually typing and getting the words down. You do not want to be sitting at your computer or laptop keyboard and struggling to figure out what it is you are trying to say while writing! Now that we have all of our inspiration, and our plan for what we are writing about, it’s time to start building a strong foundation before you actually begin writing your book. 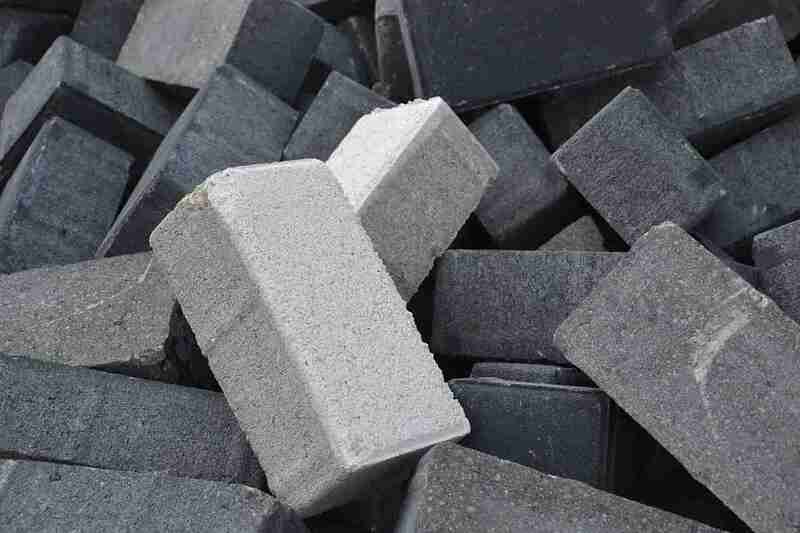 Think of all these concrete blocks as pieces of your novel. How can you make sure they are ready to build a strong foundation for your characters and your story? A strong foundation is what helps you avoid weak characters, weak plot points, and weak conflicts in your novel. Think of it as the “vision before the revision”. This part of the planning process is basically to go back and do any revisions to the characters or plot line now – before you start writing. It is in this step of writing a novel that I will conduct the character development interview questions and think about whether there may be any points in my novel that could be stronger. By really analyzing your plot and characters now, it can help save you a lot of hassle and headaches later! 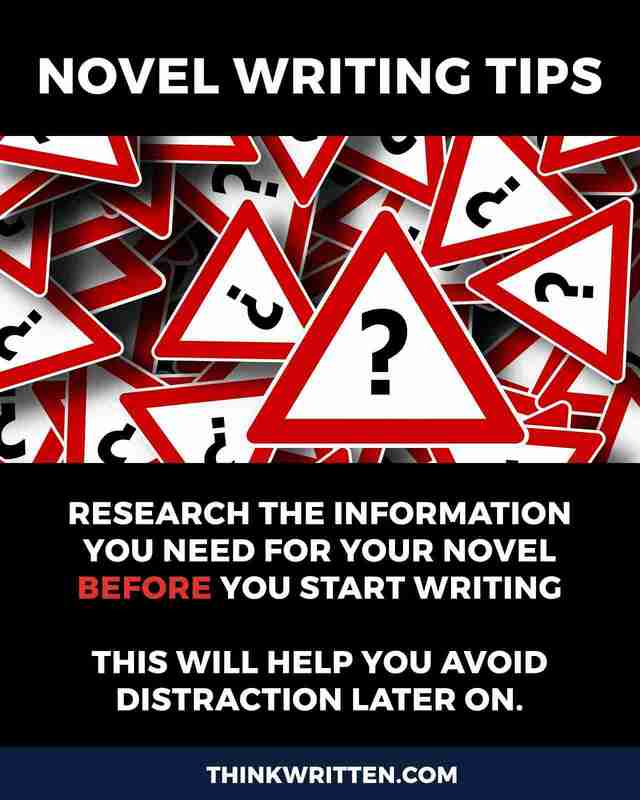 Now is a good time to also do any supplemental research your novel might need before you start writing. If you do your research now, you will be able to reduce the amount of time you are distracted by fact checking. No writer wants to disappear into research and get lost in the black hole known as the internet later while writing! For example, if you are writing a historical romance novel set in the Civil War period, you will want to do your history fact checking NOW, before you start writing! The same goes for if you are writing about a specific location, medical condition, profession, or other information specific type of research that needs to be done. Even if you are not writing anything specific that requires a heap of research, you may want to double check your plot again just to be sure there isn’t anything you are not familiar with. Trust me when I say this: You do not want to be mid-sentence as you write the critical scene when your main character is rushed to the hospital – only to be wondering what the standard procedure is for treating a gunshot wound! The less research you do while writing, the more productive you will be and the better your writing will flow through the story. Take notes now, so that later you don’t need to worry about other things later and you can focus on fully writing your story and the lives of your characters. Once you have all of your planning and research ready – it’s finally time to get to the good part: actually writing your novel instead of just thinking about how to write the novel! The first draft of your novel is the most exciting part to write. The best part? You don’t need to write perfectly at this point, because we will be doing our editing and revising in a later step. In fact, it’s usually best to write with zero editing and revising when you first start – this way you can get through your word counts faster. Before you know it, you’ll be on the track to a completed book without getting stuck on trying to come up with something “perfect” right off the bat. Being a perfectionist at this point can be dangerous to your writing and the outcome of your novel, so it’s best to ignore any and all concerns about grammar, spelling, and what to keep or cut out at this point. Most novels are somewhere between 40,000 and 75,000 words. By setting a daily word count goal, it can help you stay on task to actually finishing writing the novel within a given timeframe. Giving yourself a deadline is one of the best ways to stay on track, especially when many writers tend to work from home or on the go. It is not like you have a boss who is breathing down your neck to make sure you finish your assignment on time. In this case, you need something to guide you and motivate you to actually get to the work of writing, and this is where keeping a daily word count can be so useful! Having a daily word count can help you stick to a writing schedule. In order to set a daily word count, you’ll want to estimate a rough amount for how many words you want your book to be, and then determine how soon you want your first draft finished. Once you have these two things figured out, simply divide the number of words by the number of days. Now you know how many words to write each day in order to finish writing your book! Contrary to popular belief, you do not need to start writing your novel with the first sentence of chapter 1. Sometimes writing the beginning of a novel can be too daunting. Starting somewhere mid-point in the story takes off the pressure of having to have your story start out perfectly. There are many writers who will actually even begin at the very end where all the action and conflict happens. This can set you up for the tone and style for the rest of the events leading up to the main action scenes. As long as you have a plan for how many words you want to write each day, and a good plan for how your story needs to progress from Point A to Point B all the way to the final conclusion, you can write whatever it is you feel like writing. Just write, stick to the loose ideas of your scenes, and let it flow as naturally as you possibly can. I think one of every writer’s greatest fears is that you start writing a book, it goes great, and then you get hit with the most severe case of writer’s block, where you’ve written your characters into the world’s most predictable and boring corner and you see no way out. It can be scary to think about, but getting stuck while writing can happen to almost anyone. Now is NOT the time to go back and rewrite anything. Just refer to your original roadmap, outline, or other plan for this novel and keep writing until you get to the finish line. 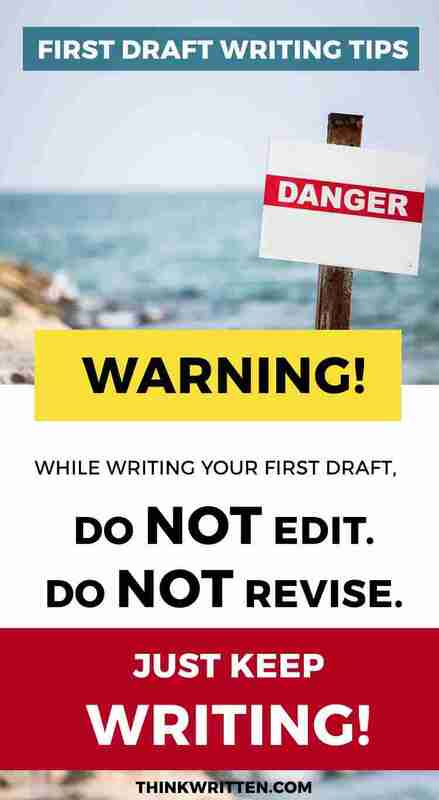 Remember this most important tip while writing your novel’s first draft: DO NOT EDIT. DO NOT REVISE. JUST KEEP WRITING UNTIL YOU ARE FINISHED. Don’t worry if the chapters and scenes don’t flow into one another as smoothly as they should. Whatever you do, don’t go backwards and delete pages and pages of work. You can always save your document as a copy, rather than possibly destroy something that would be useful later when you enter the revising phase of writing your novel. If you get stuck, take a break for about 15-20 minutes. Walk around. Take a stretch. Sometimes moving around or even taking a break to take a quick shower can help you regroup and get back to writing. You can also always skip around to different sections. It’s OK if you lose steam on writing the third chapter, so decide to write Chapter 7 instead – AS LONG AS YOU GO BACK to chapter 3 and finish writing that part of the book at some point! If the feeling of being stuck is still there after a short break, challenge yourself to write towards your word count goals anyways. Remember: What you are writing at this moment doesn’t have to be good. This is only the rough draft. 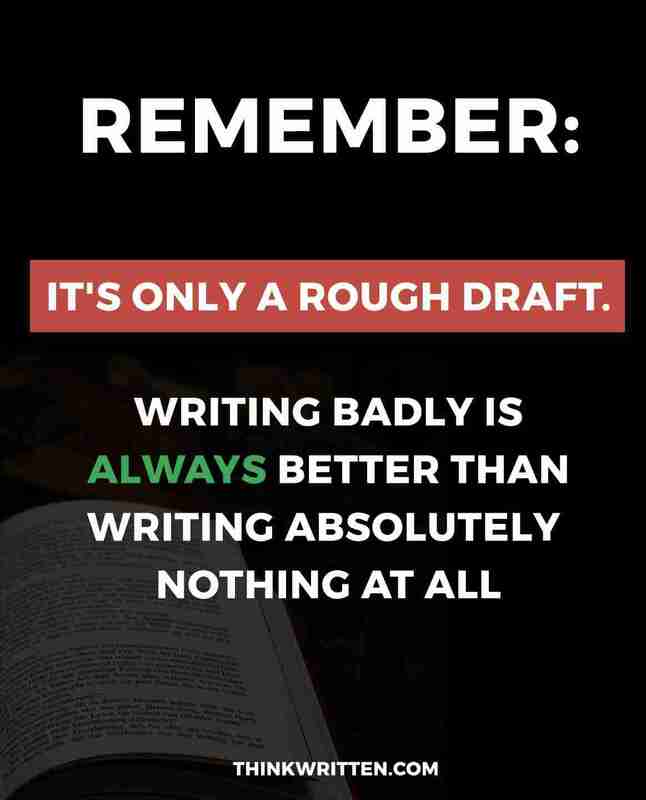 This is so important, it bears repeating: It’s only a rough draft of your novel. Writing badly is better than writing nothing! Since this is a rough draft, you can make mistakes. You can write terribly. You’ll have plenty of time to fix problems and make changes when we get to the next part of the novel writing process. Instead of getting hung up and not writing, just write as badly as humanly possible. You won’t like your writing when you do it this way, but at least you’ll like that you aren’t staring at a blank screen. So yes, I fully support and encourage that you embrace the art of writing terribly! Instead of writing well, try to write as terribly as you can! It’s one of the best ways to actually get words down on the page. Seriously: If you can’t write well, write as terribly as you can. As someone who frequently writes thousands of words a day, I tend to use the “write as badly as possible” trick to get things written that ordinarily would still be unwritten. If I didn’t write all the times I got stuck or times I didn’t really feel like writing, there would be a lot of things I would have never written. Sometimes you just have to write as horribly as you can, get out the horrible-ness and then get back to work. Will you have to do more for the revising and editing process when this happens? Yes, of course. But at least you will have something to revise and edit! You cannot edit a blank screen! The difference between the writers who publish books and the ones who don’t is mostly whether one writer gave up or not. Staying motivated as a writer is very important! Sure, some writers are naturally more gifted with the ability to connect words together into stories than others. Being a good writer is no guarantee that you are going to finish writing your novel. Even the best of storytellers struggle with writing their novels – the difference in whether you actually write is simply a matter of motivation and getting past those creativity blocks. If you can fight the perfection monsters and just get it all out of your head onto the page, you’re ahead of the crowd. And if you just keep writing and writing, before you know it, you’ll find it becoming easier and easier to work through those periods where your motivation levels have crashed. First of all: If you made it this far, congratulations! 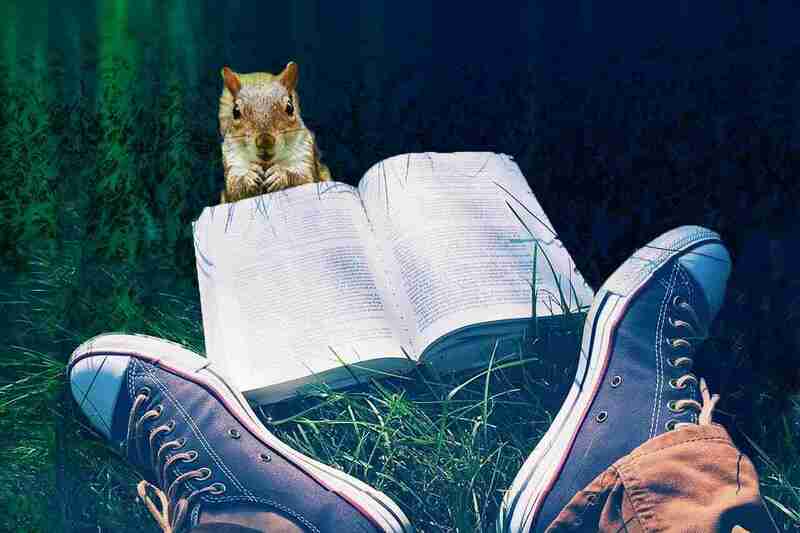 Seriously – you just wrote a book! Maybe your book at this point is not great, and of course we all know it’s not perfect – at least not yet. But seriously, you wrote a book at the point when you are editing and revising, so this is a MAJOR accomplishment! The revising and editing process is not nearly as hard as one might think. This is when we take the rough draft of your novel and turn it into the novel masterpiece it deserves to be! 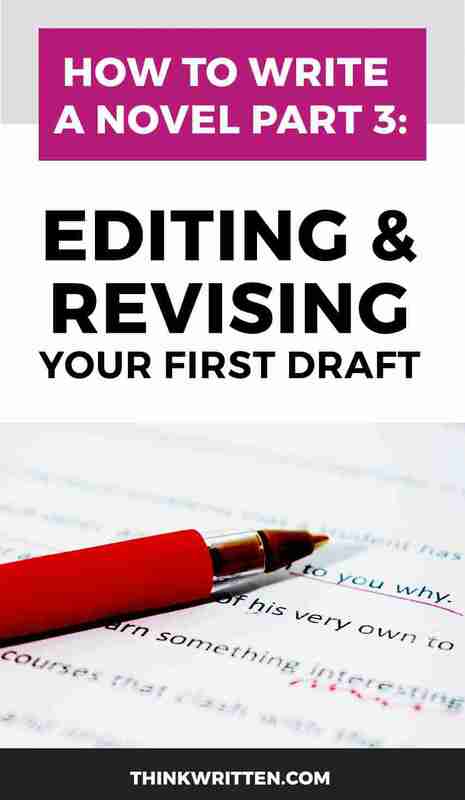 First of all, if you are not already familiar with the differences between revising and editing, it is important to know that they are NOT the same thing! 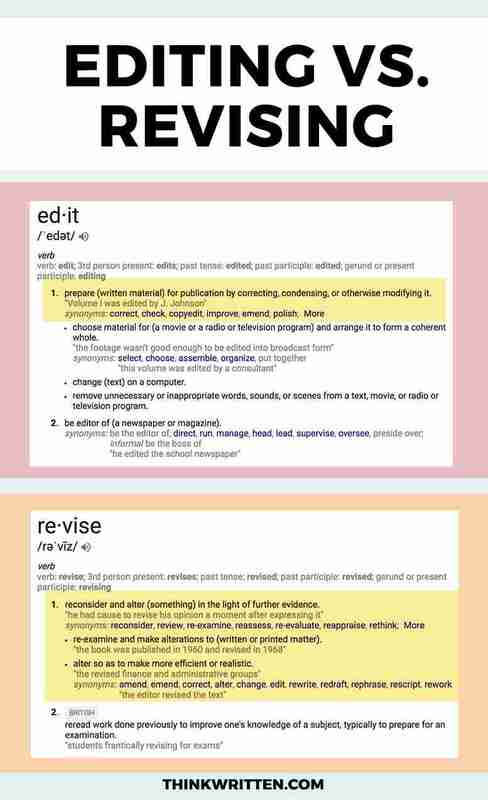 Revising means to change, alter, and improve your work. Editing means to check for spelling errors, typo, and correct any grammar mistakes. In this part of the novel writing process, you are basically doing two things: you are going to read what you wrote, and make any changes as necessary. The steps during this process can be a bit painful, but it is 1000% absolutely necessary and is what will take your finished book to the professional level ready for publishing. You may be wondering why on earth I would recommend you actually physically print out your book. Can’t you just read the book on the screen? Well, I suppose you could, but there tends to be one slight problem with that: you can’t easily add notes and write comments. Also, it’s worth noting that at this point, after all the hours of sitting at your desk, it will likely be good for you and your eyes to take a rest! No matter how comfortable of an ergonomic office chair you may have – you still need to take breaks from the screen! For me, printing out the work and reading the novel makes it special, and all the more real to have that physical feeling of a stack of paper in your hand. It also greatly helps reduce the amount of burnout you might experience as a writer. Give your eyes, your wrists, and your back a rest – print out the book and read it! Yes, you really should print your finished book – even if it’s not quite technically finished yet! I like to print my books so that there is about 3″ margin on the right side, and with the lines double spaced. 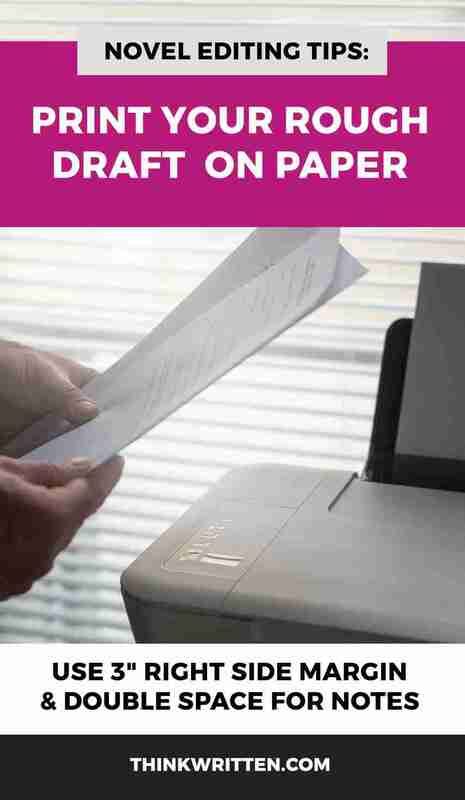 You should be able to specify these print settings in just about any type of word processing software that you might be using. This gives you enough space for notes and to make any corrections while you read if you desire. Sometimes I read without any intentions of editing, but it never hurts to have a pen handy, especially if you are the type of writer who goes crazy when you find a typo! Your first draft is unlikely perfect the way you wrote it the first time. Going through the book is important, because it gives you a chance to identify any weak spots in the plot, dialogue and character development. Is it necessary? Often times, we have scenes in our novel that are not absolutely necessary. They don’t move the story forward, they don’t provide any deep enlightenment to the character’s personalities, and some scenes can even be on the boring side. If you have scenes that aren’t necessary, your book may be better off without them entirely. It is consistent? It’s always important to make sure that everything in your novel is consistent. If you write about your character’s blue eyes in one scene and then three chapters later write about how his eyes are brown, you are going to confuse your reader. These minor details can be easy to catch – but make sure you look for other signs that something may not be consistent. Using the search/replace tool in your word processing software can be helpful for finding any possible mistakes. Is there enough conflict and character development? All good novels have conflict – a lot of it. Conflict, after all, is what gives us a story! No one wants to read about perfect characters with a perfect life without challenges – who can relate to that? Does your character change and grow enough throughout the book? Is there enough emphasis put on the events that lead to building up the main climax of the story? Do your characters engage in powerful dialogue exchanges? Once you identified the scenes that aren’t necessary and any other weak spots in your novel, you are ready to make the changes. I recommend saving your novel as a copy for your revisions – and make multiple backups of your work at this point if you haven’t done so already! In this step, rewrite any necessary parts of the book which need a little attention. This is not the time to go on a tangent of wild creativity or come up with a whole new storyline – use what you have! Think of this step as polishing a rock to really shine and reveal that it is a diamond! While grammar can be somewhat relaxed when you write fiction, you still do not want any glaring errors that would cause someone to question your credibility as a writer. Your word processing software likely already has a built in spell check and grammar checker, however these tools are not always 100% accurate. Be sure that you actually check each and every single word individually as you read through your novel. Many things can slip through the built-in spell checking tools, so be sure you don’t neglect this very important step! At this point, your novel is pretty close to done! However, this is a good time to get a trusted second opinion. There are many ways to go about this. You can ask a close family member or friend to read your book. However, keep in mind that family members and friends can sometimes be the worst people to read your work! They can sometimes be too close to you on a personal level to truly give you the objective and unbiased opinions necessary. You can also join a writing group to gain support and share your work with other writers. This can be very beneficial on many levels. With other writers in a writing group, at least you can be sure they have some knowledge and experience in regards to the novel writing process. The third, and often best option, is a professional editor. Hiring an editor may seem like an unnecessary expense, however your editor can be your best ally in giving you unbisased and objective opinions on your final novel. After your novel is completed, you are ready for the final step: to actually publish and market your book! The process of publishing and marketing your book is very exciting, but it can be equally terrifying as well! Fortunately, today there are many publishing options available for all types of writers – whether you choose to self-publish your novel, or submit your novel to a traditional publishing house. There are many ways to publish your book, but it’s important you carefully weigh the pros and cons of the many options in front of you! With traditional publishing, you will need to submit your manuscript to the publisher according to their specifications, and then wait hopefully for a response! It can be nerve racking to submit your novel to multiple publishers, especially if your novel manuscript is rejected at first. Keep in mind many now successful authors first faced rejection – so you should not let it disappoint you too much if at first you do not have the results you are hoping for. Once your novel is accepted by a publisher, it will be very important for you to carefully read your publishing contract. Any contract you sign will be a legally binding agreement, so if you are unsure of the terms and conditions, it may be advisable to consult with an attorney who is well-versed in publishing law. With self publishing, you are responsible for every aspect of publishing your book. While this is easier than ever thanks to the many options available for writers, it can still be a difficult process, as you are 100% responsible for everything you do and ensuring your book is published and sold. No matter which method you choose, you will want to very carefully consider what the best choices will be for you and your needs. Your author platform includes your own website and your social media network channels. There are many things you will want to make sure you include on your author website, which will help you establish credibility as a writer. While there are endless possibilities for reaching your audience online, keep in mind there are many other things that might distract your audience’s attention! Knowing your novel’s target audience can help you focus on which channels make the most sense to use to reach your readers. Email Marketing: Creating an email newsletter as an author can help you reach your readers directly in their inbox. There are many newsletter ideas for things you can send your readers to keep them engaged and interested in your work as an author. Pinterest Marketing: Pinterest is an excellent way to reach potential readers for your novel. Read our article on Pinterest Marketing for Authors for some great tips and ideas for how you can use this social network search engine to find your target audience. 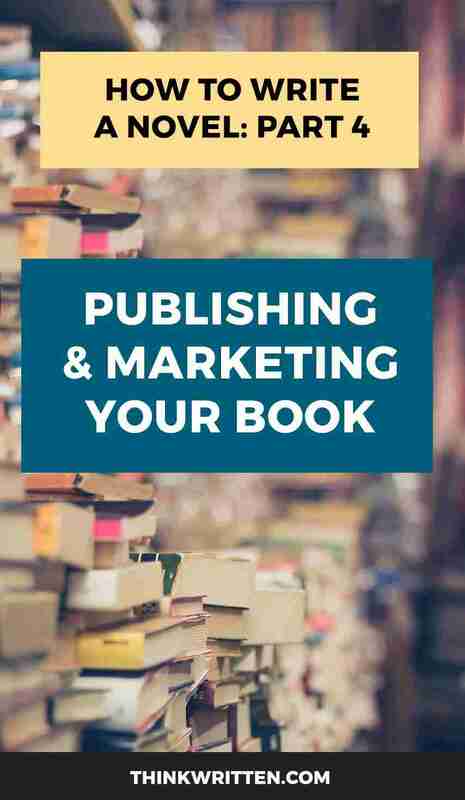 Even if you are publishing with a major publishing house, it is still very important for you to do the crucial marketing to help you sell copies of your novel. There are a number of free ways to promote your book, both online and off. If you are in need of ideas for ways you can market your book without spending a lot of money, our post on 50 Free Author Marketing Ideas can help. You can also consider investing in advertising for your book. Online, this can be done through paid advertisements on a variety of different websites. You may also want to opt for traditional print advertisements, especially in niche-focused materials that would be of interest to the same audience as your readers. Once you’ve successfully marketed your book and sold enough copies, now for the fun part: You’re ready to write your NEXT novel! 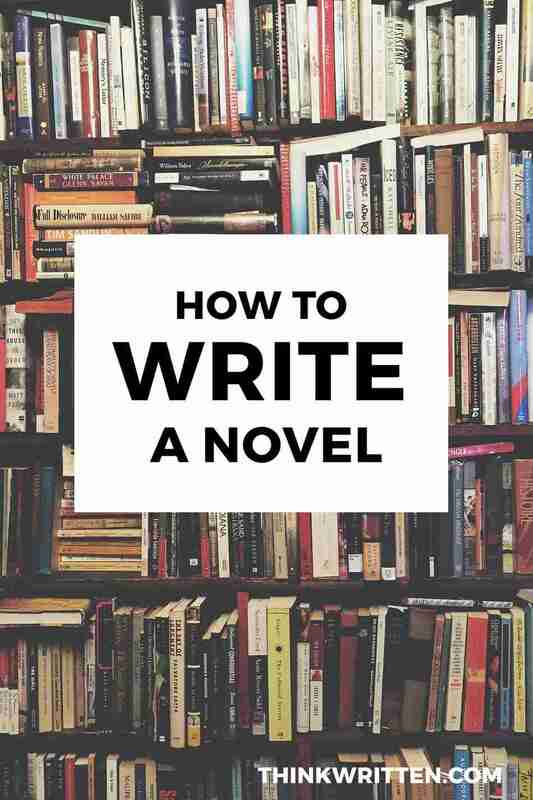 Now That You Know How to Write a Novel, What Are You Waiting For? It may seem like a daunting task, but I truly do believe you can write your novel. When you break down the process of writing a book down to these 4 parts and follow the steps necessary to see your book to completion, you are well on your way to succeeding as a writer! You’re ready to stop reading this article and go start out at step #1 and GO WRITE THAT BOOK ALREADY! I know you can do it, and you are going to feel SO GOOD when it is finally finished! Now that you know the entire process of how to write a novel, you are ready to get started. My hope is this guide for writing a novel will help you avoid common mistakes, stay focused and on task, and see your story come to life on the pages. Do you have any experiences with writing a book you would like to share? Any tips to add to our discussion? I would LOVE to hear your thoughts and experiences in the comment section below! Just getting started? Let us know what resources we can add to our website that will help you along your writing journey as an author!